This cross beween a scarf and a collar is worked in an easy-to-memorize pattern. It is only a bit wider than the circumference of your neck and hugs your throat. At first, work the main part of the scarf. The special feature of this design is a slit in the main part. 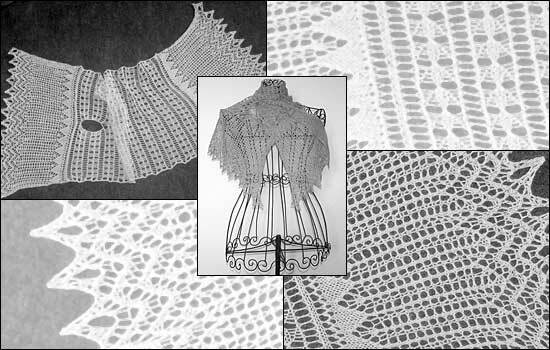 Lacy edgings are added to both narrow sides of the scarf. Pull one of the edges through the slit to tie the scarf closed. Drape the lacy edge decoratively according to your personal style! Instructions are also included to work the pattern as a ususal scarf (longer and without the slit).